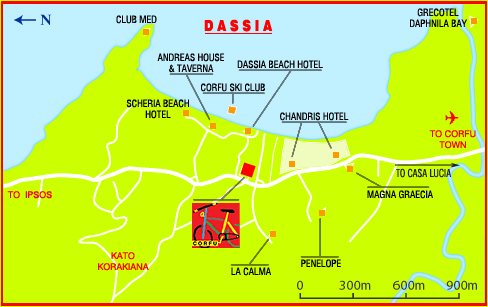 In Dassia, The Corfu Mountainbike Shop, one of the first in Greece, was established by Hans Vermunt and Kostas Tarantos in the early 1990's. Kostas, a genuine Corfiot and Hans, a 'philhellenic' from Holland. Although located in a modern resort, the station has been housed in a century-old cottage, surrounded by vineyards and Merlin orange trees: an environment which emphasizes the company's 'green' approach to cycle-tourism and support to cycling that is environmentally and socially responsible. 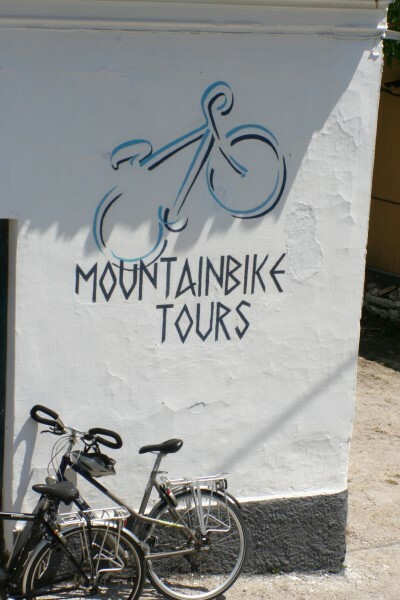 The Corfu MTB Shop has been equipped by GIANT with exclusive top-of-the-range Giant hybrid and mountain bikes, while the Park Tool workshop offers the necessary maintenance services. The company sponsors the Corfu Cycling Club, P.O.K. ; has a branch-station in the Grecotel Daphnila Bay Thalasso Hotel and Kontokali Bay Resort & Spa; has been appointed as Shimano Service Area specialist; and is member of I.M.B.A., the International Mountain Bicycling Association! Renting a bicycle is one thing, but actually getting around on it is something else. Therefore with the many years of experience, the Corfu MTB Shop has developed a selection of unique CYCLING HOLIDAYS, for individuals and small groups, offering new travel ideas taking in history, culture and local habits of the island, where the superb Giant bicycle is the ideal vehicle for a close-up look at the beautiful surrounding sea- and landscapes at a pace which allows you to stop whenever you feel: the luxury of total freedom!